The 1940 U.S. Census. Most likely you are very familiar with this census since it is the latest census year available to the public. Maybe you even remember the day when it was released in 2012. There’s no doubt that the 1940 U.S. Census holds important information for those researching their more recent family history, including where their family lived on the census day in 1940 as well as on 1 April 1935. Photo: “Enumeration, approximately 120,000 enumerators were employed, 1940-1941.” Credit: Department of Commerce, Bureau of the Census; National Archives. How much do you know about the 1940 U.S. Census? Here are a few things to consider as you take a look at this important resource for family history research. Most experienced genealogists will tell you that census information may not be reliable for all sorts of reasons. For example, the census enumerator may have heard the answers to their questions incorrectly or mis-transcribed them. The person providing the information to the enumerator may have lied or at least fudged the truth a little for all kinds of reasons – from wanting to appear younger than they really were, to the belief that the government didn’t have the right to know their business. What’s a census taker to do? The census enumerator instructions explain what to do in cases where someone refuses to cooperate. Aside from explaining that the information they were providing was for statistical use only and confidential, enumerators were reminded that they were “forbidden to communicate to any person who is not a sworn census employee any information obtained by you in the discharge of your official duties.” A census worker who revealed confidential information risked paying a fine or spending time in jail. 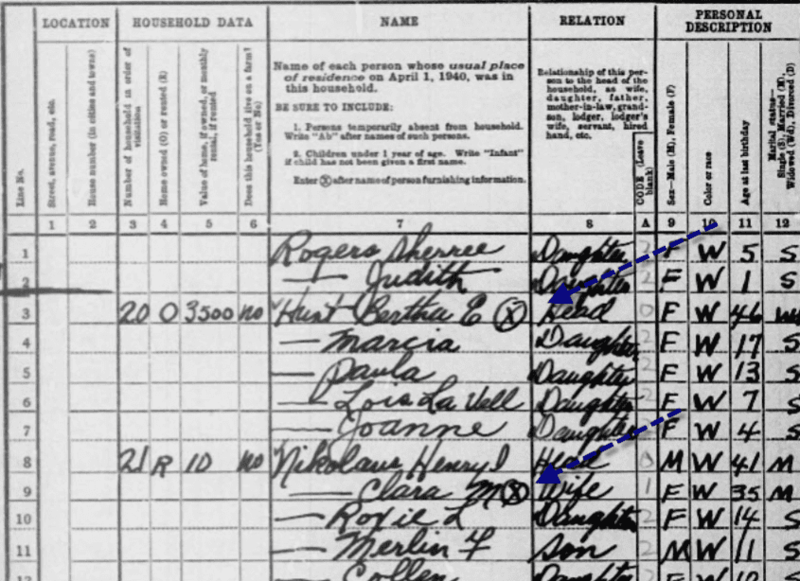 The 1940 census provides a piece of information that helps family historians determine how reliable the census data is for each family: enumerators were instructed to identify who the informant for each household was. Census enumerator instructions indicate that the informant should be identified with a “x” with a circle around it in column 7 after the name of the person furnishing the information. Why is this important? Prior to 1940, researchers have no idea who provided the information for each individual enumerated, so it’s even harder to determine the accuracy of the information on pre-1940 censuses. 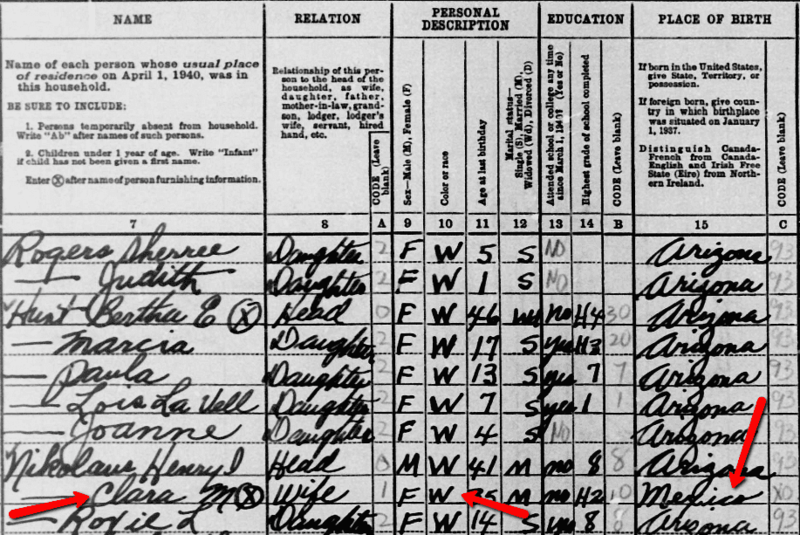 Photo: 1940 census, showing mark indicating who supplied the information. Credit: Gena Philibert-Ortega. Did Your Ancestor Answer the Supplementary Questions? If you’re lucky, you may find that your ancestor was asked the supplementary questions. These supplementary questions were asked of a small sample of those enumerated, for statistical purposes. 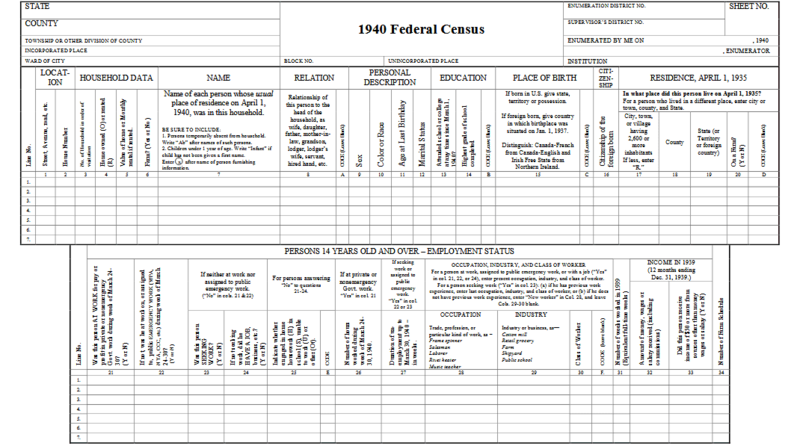 Photo: 1940 census, supplementary questions. Credit: Gena Philibert-Ortega. Photo: 1940 U.S. Census, blank form. Credit: National Archives. The 1940 U.S. Census can lead you to many other records. Consider for example the Veteran supplementary questions (columns 39-41). The letter code in column 41 indicates if the veteran was a part of the World War (WWI); Spanish American War, Philippine Insurrection or Boxer Rebellion. This should lead the researcher to search for military and possibly pension records. As you note everything listed about your ancestral family, ask yourself what other records can help verify or provide more information, including historical newspapers such as GenealogyBank’s Historical Newspaper Archives. Reminder: the U.S. Census is now available on GenealogyBank. Read the census enumerator instructions. This will provide you with information on how the census was to be taken, identify abbreviations, and help you better understand what you are finding. 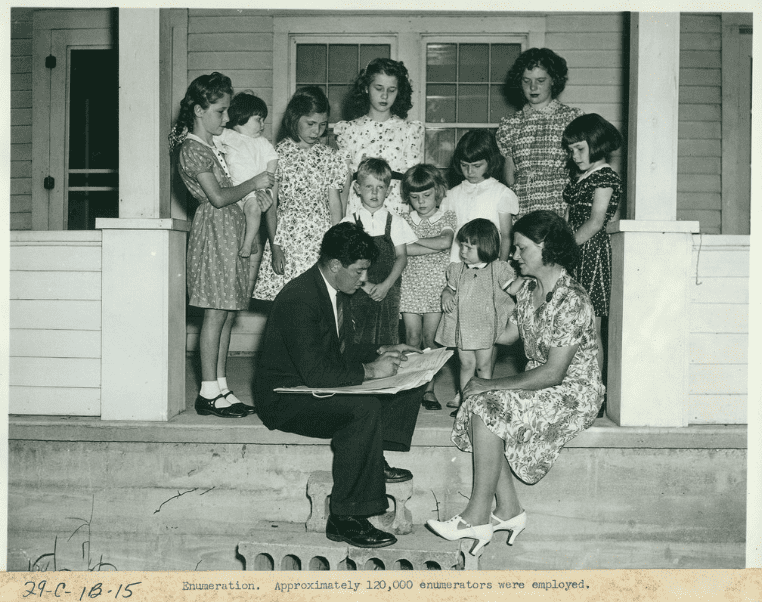 You can find the 1940 census enumerator instructions on the U.S. Census website. The instructions include the abridged instructions and the Spanish-language instructions for Puerto Rico. If you are interested in learning more about the 1940 census, consider the online report “Procedural History of the 1940 Census of Population and Housing” prepared by the Center for Demography and Ecology, University of Wisconsin (1983). If you prefer to transcribe the information you find on the census, the National Archives has a blank form you can download. Lastly, don’t make assumptions about what you find recorded on the census – an important reminder for any record you find. For example, in this entry for my maternal grandmother you notice that she (Clara Nikolaus) is listed as being white and born in Mexico. Photo: 1940 U.S. Census. Credit: Gena Philibert-Ortega. This information is correct: her parents were both Anglo Americans who were living in Mexico at the time of her birth. But if she had been Hispanic, she would still have been described as white: “Mexicans are to be regarded as white unless definitely of Indian or other race.” (6) So, in some cases the census information is not specific enough and needs to be verified with other record sets. (1) “About the 1940 Census,” National Archives (https://1940census.archives.gov: accessed 28 January 2018). (2) “Sixteenth Decennial Census of the United States. Instructions to Enumerators. Population and Agriculture. 1940,” US Census Bureau (https://www.census.gov/history/pdf/1940instructions.pdf: accessed 27 January 2019). Page 4.